1970: The first ascent of the southeast ridge route attempted by the Americans was made by Y. Ozaki and A. Tanaka from a Japanese expedition on May 23. 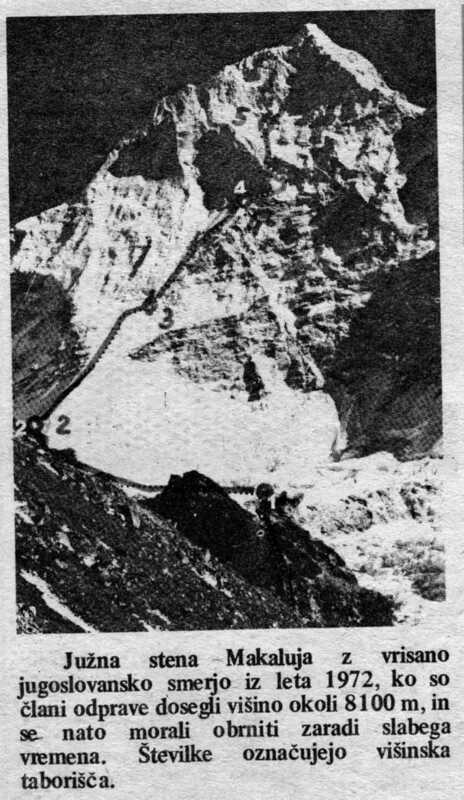 1971: The very technical West Pillar route was climbed in May by Frenchmen B. Mellet and Y. Seigneur. 1975: An expedition led by Aleš Kunaver reached the top of Makalu up its steep southern side, becoming the first Slovenes to summit an eight-thousander. The first amongst them was Stane Belak. This was the third ascent of an eight-thousand meter peak by a great mountain face. 1980: The second ascent of the West Pillar was completed in May by John Roskelley (summit), Chris Kopczynski, James States and Kim Momb, without Sherpa support and without bottled oxygen. 1981: On 15 October renowned Polish climber Jerzy Kukuczka ascended Makalu via a new route up the north-western side and north crest. 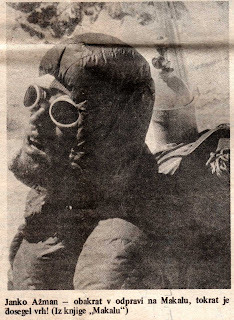 Kukuczka climbed solo, in Alpine style, without supplemental oxygen. 1988: Frenchman Marc Batard climbed in one day (after camps were set up) to the summit via the West Buttress on April 27. 1988: On October 12, Carlos Carsolio summit Makalu for his third eight-thousander in his personal account. 2006: On or about January 27 the French mountaineer Jean-Christophe Lafaille disappeared on Makalu while trying to make the first winter ascent. 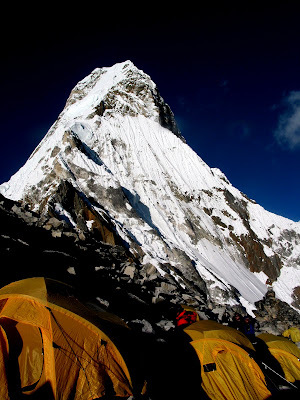 2009: Makalu was first climbed in winter on February 9, 2009 by Italian Simone Moro and Kazakh Denis Urubko. It was the final Nepali eight-thousander to be climbed in winter conditions. Moro had previously made the first winter ascent of Shishapangma in winter 2005 with Pole Piotr Morawski.